Flying through the air? Check. Surviving snake bites? Check. One of the most adorable creatures on earth? Absolutely! Do you think you know everything about this feisty little mammal? 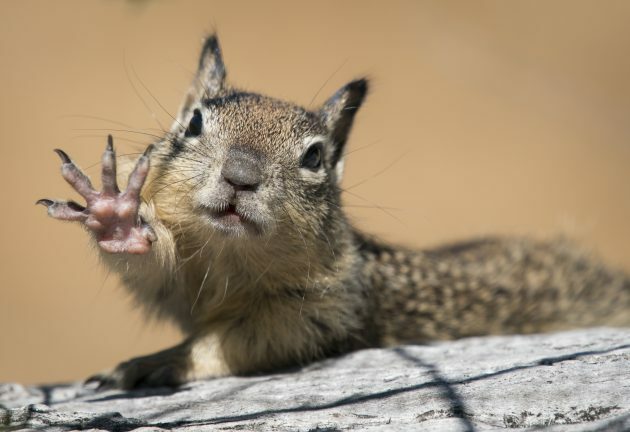 This Squirrel Appreciation Day (Sunday, Jan. 21) we think we just may have a few surprising squirrely facts for you! 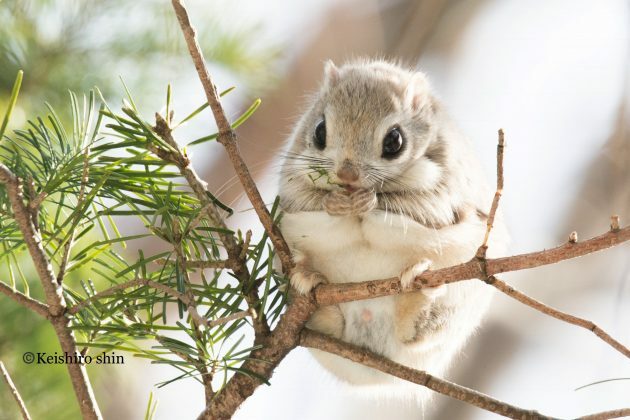 Check out the Japanese flying squirrel Pteromys momonga. These little balls of fur, which live on the islands of Honshu, Shikoku, and Kyushu, are often thought to resemble animé characters, such as Pikachu from Pokemon. Photographing these amazing animals, however, can be incredibly difficult as they blend so well with the coloration of the tree bark that they practically become invisible. While it may look like it, Japanese flying squirrels don’t actually fly. These animals use a furry membrane that extends from their ankles to their wrists to glide from tree to tree. A squirrel may look like a tasty meal to a rattlesnake, but the snake might want to think twice before hunting the California ground squirrel Otospermophilus beecheyi. Researchers have witnessed these ground squirrels beat up rattlesnakes and not feel any ill effects. While the adults may have more bravado around rattlesnakes, squirrel pups need to be warier. Ground squirrel pups are a staple of the rattlesnake’s diet, with their small body sizes juveniles are unable to neutralize a full dose of venom. Understanding how adult California ground squirrels survive bites that could dangerously sicken or even kill a human is of immense interest to researchers. Finding the mechanisms that neutralize venom toxins could help the development of safer, more effective antivenin for people bitten by rattlesnakes. Yes, Alvin and his friends will be celebrating National Squirrel Appreciation Day too! “Chipmunks are actually ground squirrels,” Bell explains. 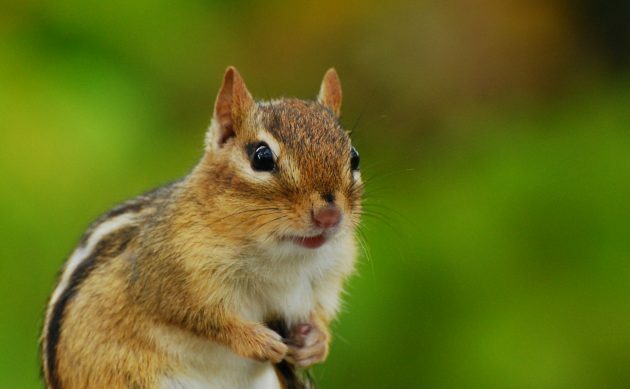 “There are three types of squirrels in North America which all share a common ancestor: tree squirrels, flying squirrels, and ground squirrels. Chipmunks along with groundhogs (also known as woodchucks), marmots, and prairie dogs are all considered ground dwelling squirrels. All squirrels are members of the family Sciuridae. 4. The heaviest recorded squirrel weighed in at 30 pounds! The biggest of all squirrels are the marmots. 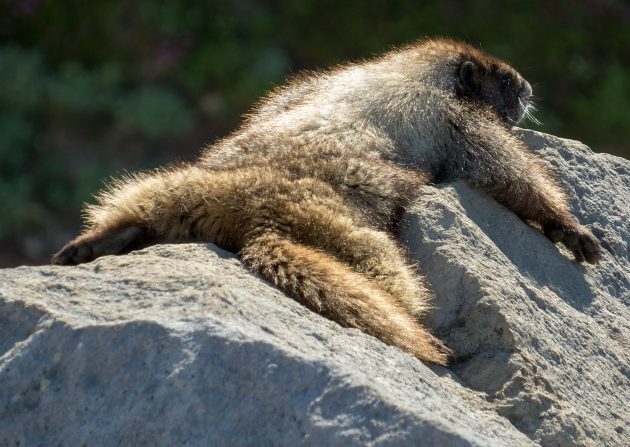 The hoary marmot, Marmota caligata, is well known to hikers in the western mountains of North America, where its high-pitched warning whistle often welcomes visitors to the alpine country. Feeding on lush alpine plants, these marmots bulk up to spend the winter months in hibernation in burrows far beneath the snow. Gaining a thick layer of fat before their long hibernation, hoary marmots usually weigh 11 to 20 pounds just before winter, but have been recorded as heavy as 30 pounds! Do the snow and the wind make you shiver? Then spare a thought for the Arctic squirrel, whose blood literally does run cold! 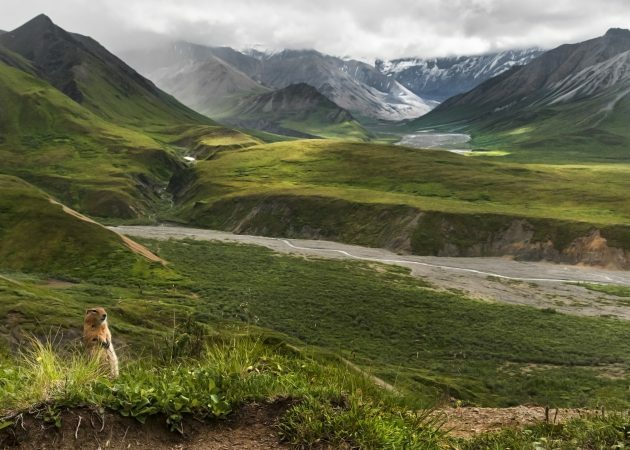 “Arctic ground squirrels can lower their body temperature below freezing when they hibernate but somehow they do not turn into ice blocks,” Bell explains. These squirrels spend eight months of the year in the longest and deepest hibernation of any animal on earth. During this time their core body temperature drops to a staggering 26.7 degrees F, almost 5 degrees below the freezing point of water. Despite this, ground squirrel blood remains liquid, most likely through a phenomenon known as supercooling. Brrrrr! Prevost’s squirrels, Callosciurus prevosti, look like a North American squirrel with a fancy paint job. With the genus name Callosciurus meaning “beautiful squirrel,” it is renowned for being one of the most colorful of all squirrels. Their amazing colors, however, have a purpose. “These are beautiful animals. Their coloring helps them blend into their tropical forest habitats,” explains Ashton Ball, small mammal keeper at the Smithsonian’s National Zoo. 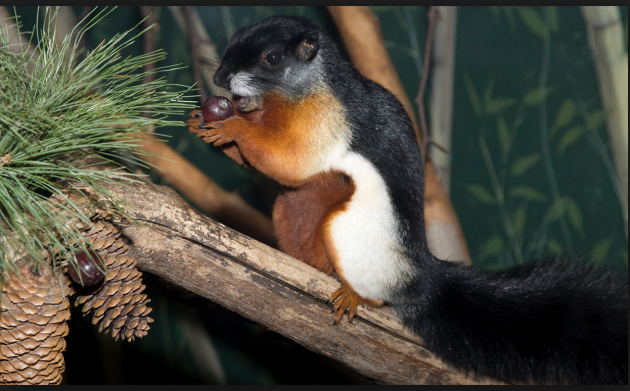 Prevost’s squirrels live in the lowland and montane forests of the Malay Peninsula, Sumatra, Borneo, Bangka Island, Rhio Archipelago, Sulawesi, and the East Indies. The can also be found in cultivated areas and gardens where they can be seen jumping and climbing throughout the day.